Louisiana Commercial Realty announces the successful completion of lease negotiations of 9,000 square feet of New Orleans Class A office space to Davillier Law Group, a 10 year old boutique firm with 8 attorneys and plans to expand their current areas of practice which include litigation, real estate, public and commercial finance, mergers and acquisitions, gaming and motion picture tax credit transactions. The law firm’s client list includes national and local real estate developers, entertainers, professional athletes, financial institutions, federal non-profit organizations, educational institutions, and utility companies. 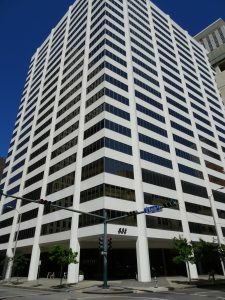 In order to expand their services, Davillier Law needed more office space to accommodate more employees and technology to continue to provide a high level of service to clients, so they contacted Louisiana Commercial Realty who negotiated the sublease of office space on the 17th floor at 935 Gravier Street. The previous tenant, LookFar, had given notice to CivicSource who leases the entire 19,000 square foot floor, and Louisiana Commercial was able to get Davillier Group in the space within days of LookFar moving out. 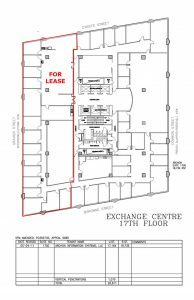 Davillier previously leased space in 1010 Common, which encountered water damage when the building electrical failed, causing many tenants to explore other office space when the landlord failed to make repairs quickly. 1010 Common was purchased in 2014 for $16,000,000 by Mohan Kailas. Louisiana Commercial was able to help Davillier secure 30 percent more office space for approximately the same price by scouring the 1,000,000 square feet available in downtown New Orleans, including sublease space, which is office space under lease by a tenant who then, in turn, lease excess space to another tenant. The landlord benefits from a sublease since both the new tenant and the initial tenant must guarantee to pay the rent.